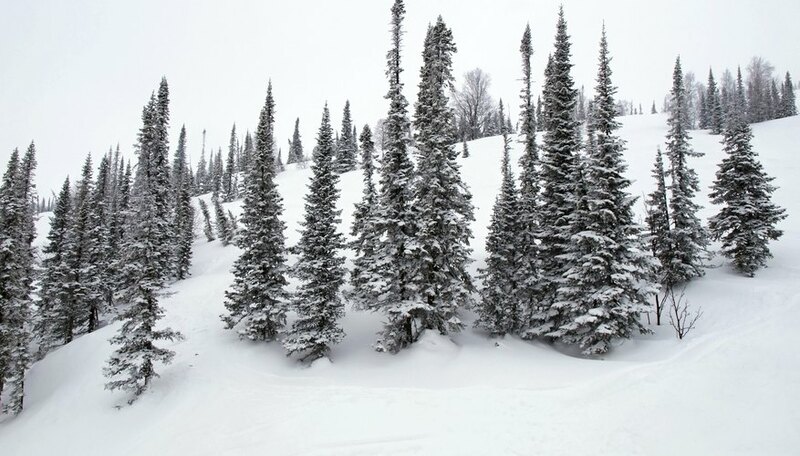 The tundra region derives its name from the Finnish word "tunturia," which means treeless plain. 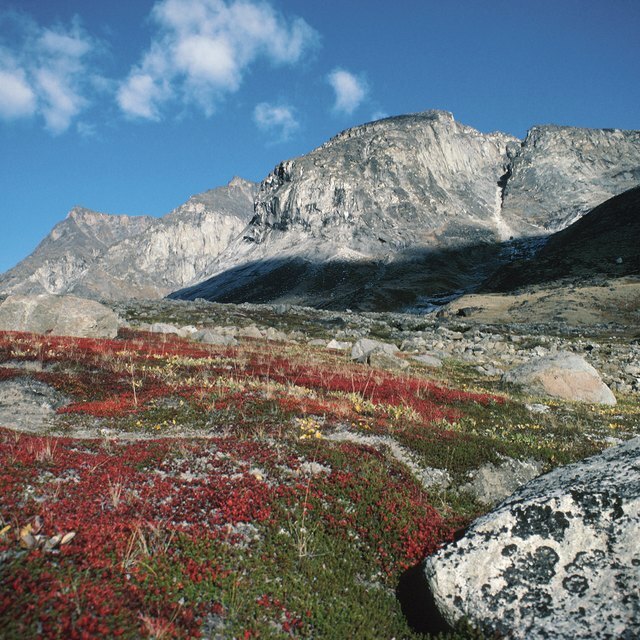 The tundra is characterized by a harsh, frost-laden landscape, minus-zero temperatures, lack of precipitation, nutrients, and extremely short seasons. Divided into two major categories, the artic tundra and alpine tundra, the tundra environment is characterized by a distinct climate, flora and fauna. The arctic tundra formed 10,000 years ago, and is the world's youngest biome, according to the Blue Planet Biomes web site. Situated around the North Pole, the artic tundra extends south to the coniferous forests of the taiga. Areas known as wet tundra are found across the sub-arctic region and are comprised of permanently frozen subsoil around 2,000 feet deep known as permafrost. 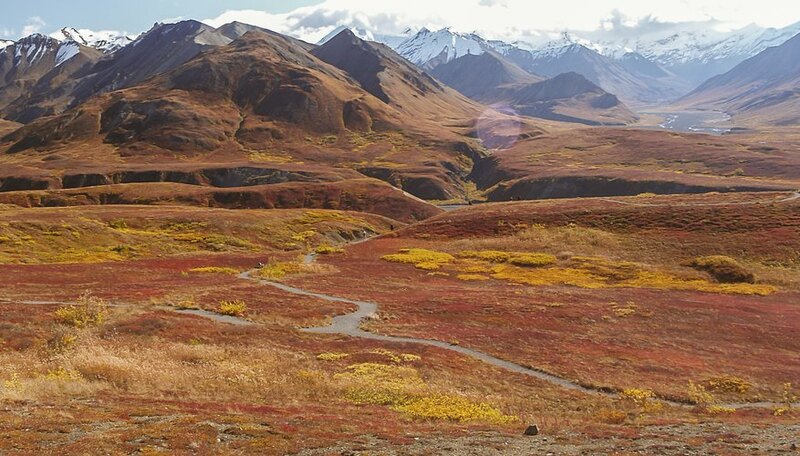 Another portion of the tundra called the artic scrub consists of a river drainage area and sheltered valleys that serves as a biodiversity habitat. The alpine tundra is located atop tall and cold high-altitude mountains across the world. The soil in the alpine tundra is well-drained and devoid of nutrients, making it impossible for trees to grown in these areas. Several parts of the alpine tundra are known as dry tundra. The artic is renowned for its cold, desert-like conditions. Winter and summer are its two main seasons, with spring lasting for a short duration between winter and summer. Rainfall varies in different artic regions, and yearly precipitation including melting snow, is around 6 to 10 inches. Summer temperatures in the artic tundra range between 37 to 54 degrees Fahrenheit, and winter temperatures average around minus-29 degrees Fahrenheit. 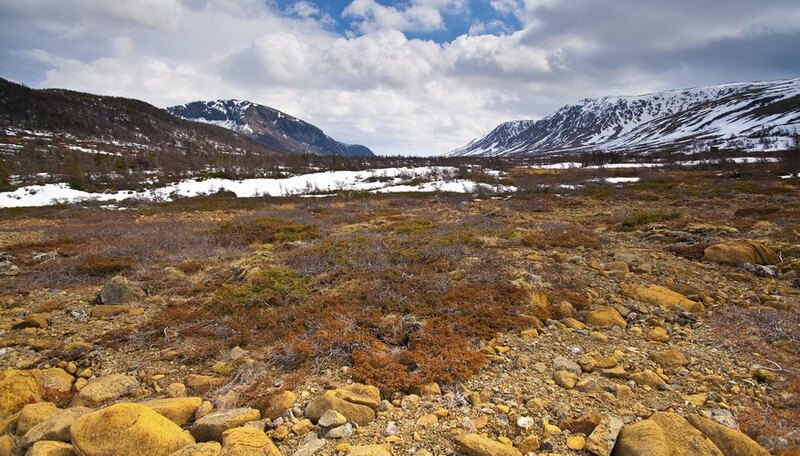 Characterized by low-nutrient soil with sparse vegetation, the artic tundra is home ot around 1,700 different species of shrubs, sedges, mosses, lichens, grasses and 400 varieties of flowers. Plants are adapted to sweeping winds and soil disturbances, growing short and grouping together to resist the cold temperatures. The growing season lasts for around 50 to 60 days. With the exception of birch trees in the lower latitudes, no other trees inhabit the artic tundra. Since the ground is always frozen beneath the soil’s top layer, trees cannot send roots down. Willows grow in some tundra regions, but only as low carpets around 3 inches high. Tundra animal life is restricted to the challenging environment, and reptiles and amphibians do not exist in this habitat. 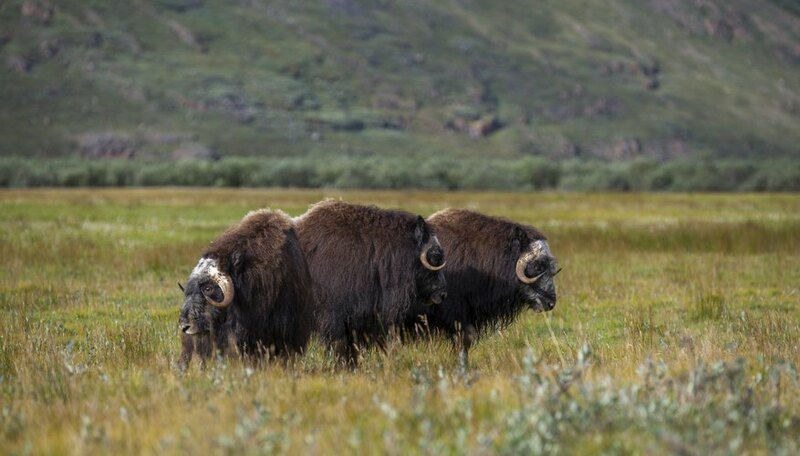 According to the Physical Geography web site, the caribou, musk ox, arctic hare, voles and lemmings are the principal herbivores, which enable a few carnivores like the arctic fox, snow owl, polar bear, and wolf to survive. Barretto, Esperance. "Tundra Characteristics." Sciencing, https://sciencing.com/tundra-characteristics-6817564.html. 24 April 2017.